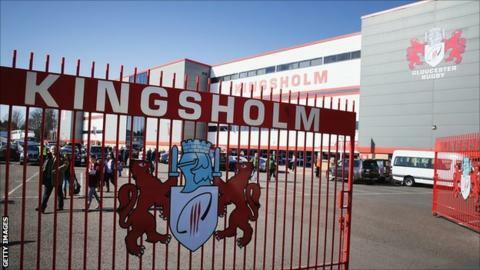 Gloucester Rugby have recorded an operating profit for the fifth straight year, for the period up until 30 June 2015. In that time, the club appointed a new coaching team and also had an overhaul of the playing squad. Gloucester also won the European Rugby Challenge Cup, the club's first silverware for four years. Profit on ordinary activities before taxation was £286,026, while the club's long-term debt was also reduced by 18%. The club increased turnover by 21.3% over the previous year and the footprint of the stadium was also increased with the purchase of the former Cooper Cowan car site. "It's been a really good year, it's been a very tough year," managing director Stephen Vaughan told BBC Gloucestershire. "In business parlance our costs have gone up dramatically in the past 12 months, so we've had to work even harder to keep a self-sustainable model. So I'm really pleased we've been able to do that when we've invested not just in the playing department, but have also bought a big chunk of land at Kingsholm for work in the future out of working capital." The club also held two successful concerts at their Kingsholm Stadium home in the summer, with over 26,000 people watching Madness and Elton John perform. Gloucester are controlled by Ryan Walkinshaw, who took over following the death of his father Tom - a former Formula 1 team owner - in 2010. They have been owned by the Walkinshaw family since 1997 but are currently looking for new owners. "We are still talking to people," added Vaughan. "Have we found the people that are right? not yet. I'd like to be in a position in the next six to eight weeks where I would like to say categorically we've either got a new direction or we are comfortable how we are."